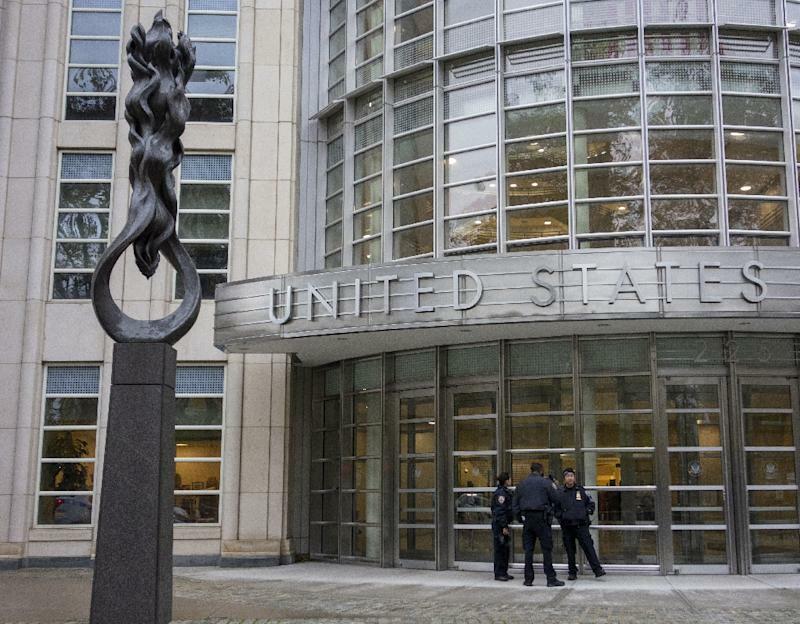 New York (AFP) - Twelve jurors and six alternates were selected Wednesday to decide the fate of Joaquin "El Chapo" Guzman, one of the most notorious criminals in the world, on trial in New York for smuggling drugs into the United States over a quarter of a century. The seven women and five men will determine whether Guzman is guilty on 11 trafficking, firearms and money laundering charges, which could see him spend the rest of his life behind bars. The 12 include at least three immigrants and three who speak Spanish fluently. Almost all of them had already heard of him before being called to jury duty at the Brooklyn federal court. Several have relatives who work in law enforcement or as prison guards and one juror is a retired prison guard. Most have seen Netflix drama "Narcos" based on the life of the late Colombian drug kingpin Pablo Escobar, or another television drama series about Guzman produced by Netflix and Univision. The jury will be sworn in next Tuesday, when opening statements are scheduled to begin as the trial moves into its substantive phase, expected to last for more than four months. Several potential jurors who expressed security concerns were dismissed earlier this week, as was a man who admitted asking for Guzman's autograph and a Michael Jackson impersonator, for fear that he was too identifiable. "We're satisfied with the jury that has been selected," said defense lawyer Eduardo Balarezo. "We trust they'll do their duty." Guzman, dressed in a blue suit and blue shirt, took notes and appeared attentive, but has otherwise been impassive during jury selection. The names of the jurors will be kept anonymous under the strict security arrangements accompanying the trial. They will be partially sequestered, escorted to and from court every day by armed US Marshalls.